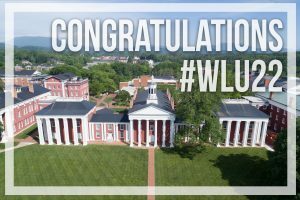 Washington and Lee University released regular admission decisions on Friday, March 22, bringing the total number of admitted students to 1,115 for the Class of 2023, including 248 students admitted through the university’s early decision programs and partnership with the QuestBridge National College Match Program. Admitted students were selected from a total applicant pool of 6,178, a six percent increase over 2018. The class comes from 48 U.S. states and the District of Columbia and includes 55 foreign citizens from 35 countries, thanks in part to the university’s partnership with the Davis United World College program. 28 percent identify as domestic students of color and 10 percent are first-generation-to-college students. The median SAT is 1450. The median ACT score is 33. W&L’s no-loan financial aid policy meets 100% of each student’s demonstrated need through grants, scholarships and work-study. The W&L Promise guarantees grants equaling at least the full cost of tuition for students with a family income under $100,000, while the Johnson Scholarship, W&L’s comprehensive merit award, provides ten percent of each entering class with scholarships equaling the full cost of attendance, in addition to funding to support summer experiences. The no-loan policy has been in place since 2013, ensuring that Washington and Lee students can graduate debt-free. 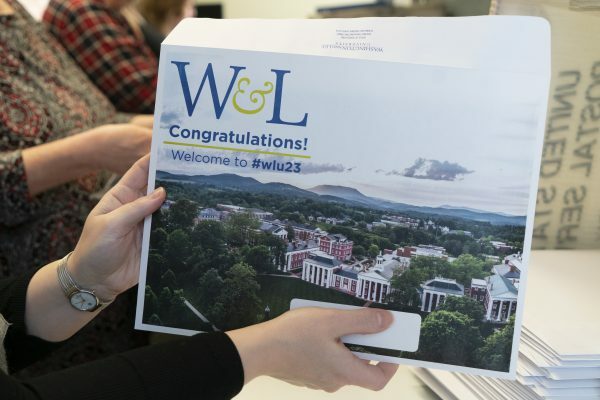 W&L expects to enroll 461 students in the Class of 2023. Admitted students are invited to visit campus on March 29 or April 22 during two scheduled Admitted Students Days, where they can participate in campus tours, meet with current students to learn about the student life, attend panel discussions on fellowship and research opportunities, global and service learning, and career and professional development, and meet W&L professors during academic department open houses. Sixteen alumni chapters across the country will also host admitted student events to provide students and families an opportunity to meet other W&L families and alumni in their home cities. Admitted students have until May 1 to confirm their admission.